Silicon Valley's Finest Purveyor of Pop Culture Collectibles and Analog Entertainment! Legends has events every night of the week! Check out the calendar at the bottom of the page to find out what's coming up! BOOSTER PACK PER MATCH WIN! 3 boosters and FNM foil for 1st in each pod! 1 booster for 2 match wins! One lucky random player in each pod gets the exlusive FNM foil for the month! Are you a new player at Legends? We welcome ALL new players with past foils from previous events like FNM, Prereleases and other WPN promos! Bring your friends! 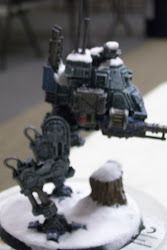 Wednesday at Legends is THE place to play Warhammer 40k! Tournaments are usually in the 750-1000 point range. Call the store at 408 253-2643 to find out the size of the tournament. You may play regular games at anytime during store hours, space permitting. Wednesdays are also painting days! Bring in your paints and figures to make your army even more formidable. Painted armies look very cool and add to the overal play experience. Don't deny yourself and impressive army! And don't forget to ask our helpfull staff for something to paint on, as well as expert modeling and painting tips! COME BRING YOUR ARMY AND CONQUER THE WARHAMMER WORLD. DON’T KNOW HOW TO PLAY WARHAMMER FANTASY? THAT IS FINE. 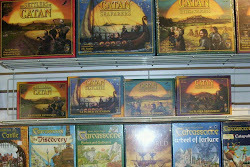 WE HAVE ARMIES TO SUPPLY AND WILL TEACH YOU THE GAME! 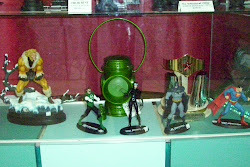 Legends is Silicon Valley's finest purveyor of Analog Entertainment and Pop Culture Collectibles! We carry comics, graphic novels, toys, collectible statues, board games, classic games, table-top games, collectible card games, game supplies, t-shirts and so much more we don't have space to list it! Legends is located inside the Vallco Shopping Mall. 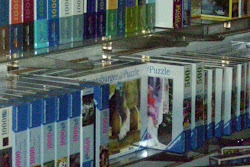 We have two stores on the upper level, near Sears and Tatami. Find us here on Google Maps! 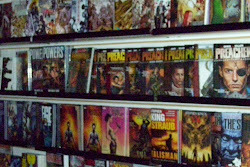 BOY do we have Graphic Novels! copyright 2011 Legends Games LLC.. Awesome Inc. theme. Powered by Blogger.